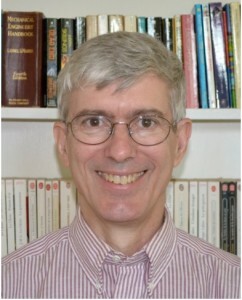 ScholarFITS is run by Managing Director Bill Smith. After working in sales, finance, and management for several manufacturing companies, in 2007 Bill decided to try something different. He bought a small software company called Think Ahead that specialized in college planning and financial aid. Think Ahead’s core product was an EFC (Expected Family Contribution) estimator. EFC is a measure of a family’s economic capacity to pay for college – it determines eligibility for need-based financial aid. Bill became an EFC expert, mastering the complicated formula and learning the many variations colleges use to calculate and award financial aid. At the time he bought Think Ahead there were no other companies in the market. During the next few years Think Ahead developed calculators for about 20 colleges including Amherst College, Arcadia University, MIT, Trinity College, University of Arkansas, University of New Haven, University of Tampa, Williams College, and Yale University. In 2011 the federal government required that all colleges include online financial aid estimators like the ones made by Think Ahead, defined by law as “Net Price Calculators,” or NPCs. Overnight as many as a dozen companies started selling colleges NPCs of varying quality, though Think Ahead’s calculators were acknowledged by financial aid experts to be the gold standard. Bill sold the company to Student Aid Services, which had the financial resources and technical expertise to go from a handful of NPC customers to serving hundreds of colleges at once. Bill stayed to help Student Aid Services develop the NPC market. During the next few years Bill visited colleges across the country, hearing from college admissions and financial aid officers exactly how they decide to admit students and how they award financial aid. Student Aid Services became the market leader, selling more NPCs to colleges than any other vendor. Bill started ScholarFITS in 2014 to help students and families understand and manage the cost of college. Using the knowledge he’s acquired over hundreds of meetings with admissions, financial aid, and enrollment officers, he helps families identify colleges where they can maximize their chance of getting merit- and/or need-based aid. He helps them balance the goal of the best college price with the academic and social elements of going to college. He helps them understand not just the price, but how to pay for a college degree. Bill has a BA from Williams College and an MBA from the Kellogg School at Northwestern University. He received a Certificate in College Counseling with Distinction from UCLA. You can unsubscribe anytime, and we’ll never share your name without your authorization. Step 1 – Click the button at right to enter your email address. Step 2 – Then click the link in the confirmation email you receive from ScholarFITS.